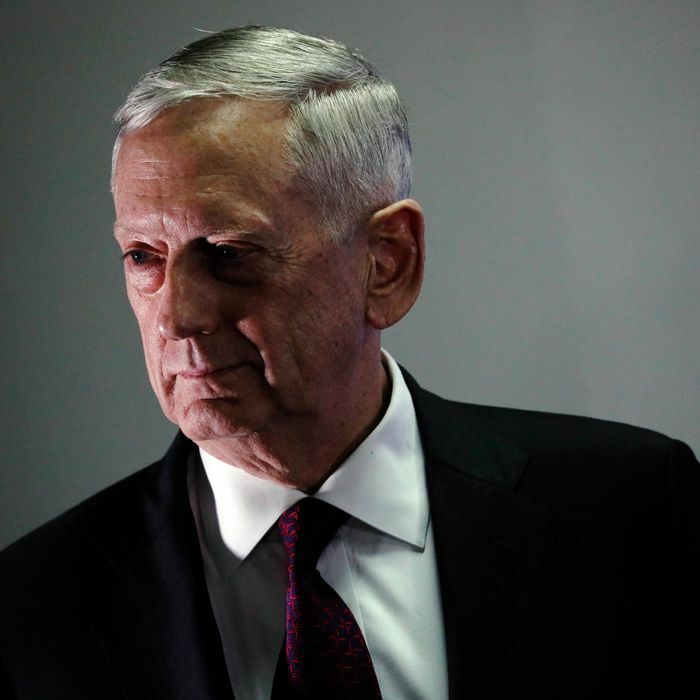 Secretary of Defense James Mattis fired off a resignation letter Thursday after unsuccessfully asking President Trump to reconsider his decision to pull all troops out of Syria and half out of Afghanistan with no advance consultation with partners, according to the New York Times. The letter showed multiple signs of haste, in its missing articles and inconsistent punctuation, but not an ounce of hesitation in its thrust. Mattis set out the core beliefs that liberal and conservative internationalists used to share (and polls suggest the majority of Americans still do): that our country is strengthened by alliances and partnerships; that we should use “all the tools in the toolbox,” not just the military, to support them; that we should be clear and consistent in response to opposition from authoritarian societies. Then Mattis said the president had “the right to have a Secretary of Defense whose views are better aligned with yours on these and other subjects,” so he was resigning. It was Mattis’s confident adherence to those beliefs that had earned him respect across the ideological spectrum and around the world, and the trust of senators and heads of state — who told themselves, and each other, that Mattis was single-handedly holding together US alliances, reorienting the Pentagon to face down both China and Russia even if Trump wouldn’t, and even somehow inserting himself in the nuclear chain of command to prevent rash launches. This faith wasn’t just about Jim Mattis personally or professionally, though his iron demeanor and impressive Marine biography didn’t hurt. It was also about the enormous desire of Americans — including Trump’s fellow Republicans — to believe that Trump didn’t matter, or that American institutions could withstand him, or that Trump could have his cake and eat it too: that he could spout nativist rhetoric but keep enjoying the fruits of 70 years of alliances. And it was about the belief of the rest of the world that the United States wouldn’t — couldn’t — really be what Trump says that we are. But the United States, including the Pentagon, is ruled by a civilian president. And that president is Donald Trump. Nothing the man touches escapes his imprint. Neither did Jim Mattis. Because there is another side to Secretary Mattis, democracy’s savior. Mattis cut journalist briefings back to almost nothing and constricted data flows on issues from drone deaths to sexual harassment. A man who claimed to hold sacred the bonds of trust among warriors, he oversaw moves designed to force out of the military troops who had served bravely but were transgender, HIV-positive, or undocumented — and openly cast doubt on the capability of women in combat, even as they continued to shatter barrier after barrier during his time as Secretary. He put in place a National Defense Strategy so expansive that not even Trump thinks the U.S. can afford it. And when Trump sent troops to the U.S.-Mexico border in a pre-election stunt against a non-existent threat, and then claimed the troops were empowered to fire on migrants, in violation of the Posse Comitatus Act, Mattis did not protest and he did not resign. Mattis may be leaving with his personal reputation largely intact, but the larger values he sought to protect are diminished — not just this week, by Trump’s decision to undercut our allies and partners, and tens of thousands of civilians, in northeast Syria with no warning or planning, but every week of the last two years by some action or inaction, large or small, tweeted or otherwise. The edifice of American power and norms Mattis took the job to protect eroded even as he stood guard over it. All the voices who argue that Trump is a temporary or short-term phenomenon whose effects we shouldn’t over-dramatize — and that goes far beyond his Republican enablers — should take note.